"Keramat" redirects here. For the district in Sulawesi, Indonesia, see Keramat, Sulawesi. 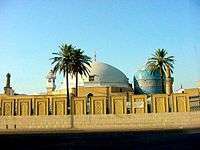 For the Muslim mortuary building, see Mazar (mausoleum). 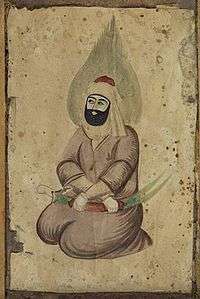 In Islamic mysticism, karamat (Arabic: کرامت‎‎ karāmat, also کرامات karāmāt) is the ability to perform supernatural wonders by Muslim saints. It is a "thaumaturgic gift" akin to miracles. Sunni-Sufis and Alevis believe that, whereas miracles can only be performed by prophets (when Allah creates the miracle in support to His prophets) and are a testament to their prophethood, karamat are extraordinary things performed by awliya, who are not prophets but are "friends of Allah" i.e., Muslims who have reached a high rank of piety through proper knowledge of and practice of Islam, and, most important, through the constant zikr, that is, remembrance of Allah. Allah creates karamaat to support the waliyy. It is also believed that attribute of karamat is not only for muslim saints and is not parameter of sainthood. Holy personalities in all religions can perform karamat with some differences. Stories of companions of Muhammad performing miraculous acts are already there in the Hadith, and miracles performed by various saints are ingrained throughout the entire history of Islamic mysticism, specifically in the Sufi mysticism. ↑ Ansari, Abdul Hakim. Chiragh i Rah (چراغ راہ). Gujranwala: Maktabah tauheediyah. Tay al-Ard, the keramat of teleportation.